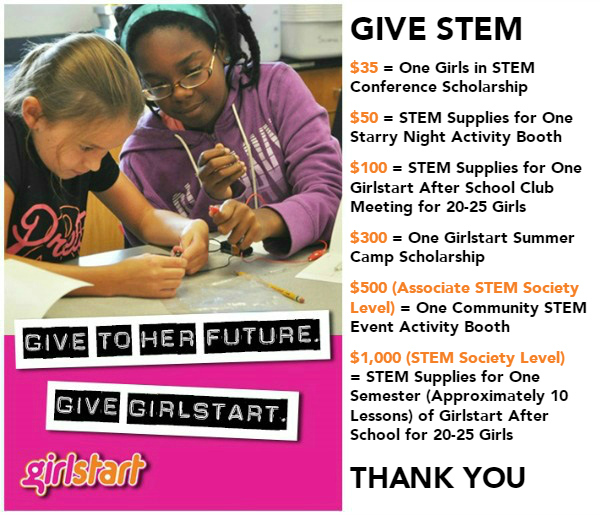 Choose how you want to support Girlstart! If you prefer not to donate online, please donate by mail. Girlstart is a 501c3 nonprofit organization. If you’d like to make a gift of stock, we are grateful for your commitment in this way! Securities can be delivered to DTC #0226, for the benefit of account 037-287834 (Girlstart). If you have any questions, you may contact us directly, or Frost Bank at 512.473.4745.